Forge of Empires is a kingdom building game to erect the greatest empire starting from the Stone Age, progress through modern times and beyond. In this Forge of Empires game guide video for PC you will learn essential battles strategies and best landmark placement as implored by one of our avid gamers in our Community whose screen name is RevanTheLegend. 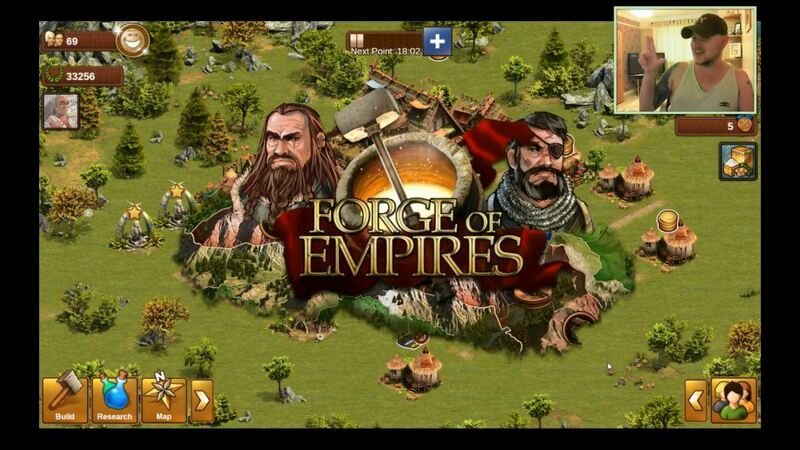 Similar to many tycoon builder games Forge of Empires has this same aspect where you create a world and add to it. However, it differs as you start in ancient times with huts, progress to temples, even modern skyscrapers and futuristic cities, etc. Let’s discuss the best strategies to layout your village. In the beginning you have a Main Hall centered on the map. I find having it in the middle really restricts what you can do around it. Therefore I suggest to move it by visiting the “Build” tab to bottom left then “Move” icon top center and move the hall to any free area within the allowable grid. I choose to move mine near the far north corner as possible to make room for my smaller buildings and infrastructures. Another thing to keep in mind is the fact that most buildings require a road to get to. You’ll notice if a building is improperly placed, a block alert symbol will appear above them. Once you move them to a road nearby this alert will go away. You can find out initially at building placement whether you need to position near a road or not by clicking on the “?” symbol in the bottom right corner of the resource and check under the “Needs” section. Listed will be needs such as “Road required”. Always check every resources’ need so you make sure to fulfill them. Not all resources placed have needs. For example, placing decorative structures do not require an contingencies. Aside from building, research and exploring- you have opportunities to battle. We’ll segue into the next Forge of Empires strategy dealing with battles. Here is where you visit the “Map” and drill down to territories you will want to conquer. What I value about this game is that you actually get to control attacks in battles. On the battlefield you will notice a honeycomb-like grid formation. It’s turn-based combat so you get a chance to position your troops and attack, just as well as your opponent until the victor. Please note: the game will determine the order of the turns. This is important to know as it can influence your position and attacks. I personally suggest to attack as soon as possible moving your troops forward as much as possible holding the formation. To execute this you place the troop then tap “Skip Turn” to advance to the next combatant. The key to winning is to out position your opponents. In the video you can see I prefer to keep my troops close and offset their attackers and even surrounding foes until they perish. Remember the best placement of your Main Hall may not be where it was initially positioned. Consider most buildings should be placed nearby roads for easy access. When in battle keep great positioning in mind, be ready to attack from out-positioning foes and remember the order of turns in battles. Lastly, as the game progresses battles do become more complex, however, remembering the essentials can aid you toward victory! Hopefully this guide and video demonstrates how to get started with battle essentials and building placements to gain a competitive advantage in Forge of Empires. Stay tuned for more game guides of this series.